Mr. Madsen is a litigator, primarily a defense litigator, although he has extensive experience in many areas of civil litigation. He is a career Cantey Hanger litigator, having come to the Fort Worth firm in 1976 shortly after his graduation from Baylor University School of Law and a stint as a briefing attorney for Court of Appeals of the Twelfth Supreme Judicial District of Texas. 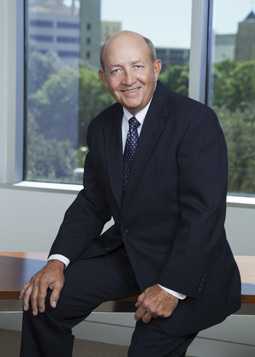 Named “Top Lawyers”, Fort Worth Business Press, 2013 – 2018.